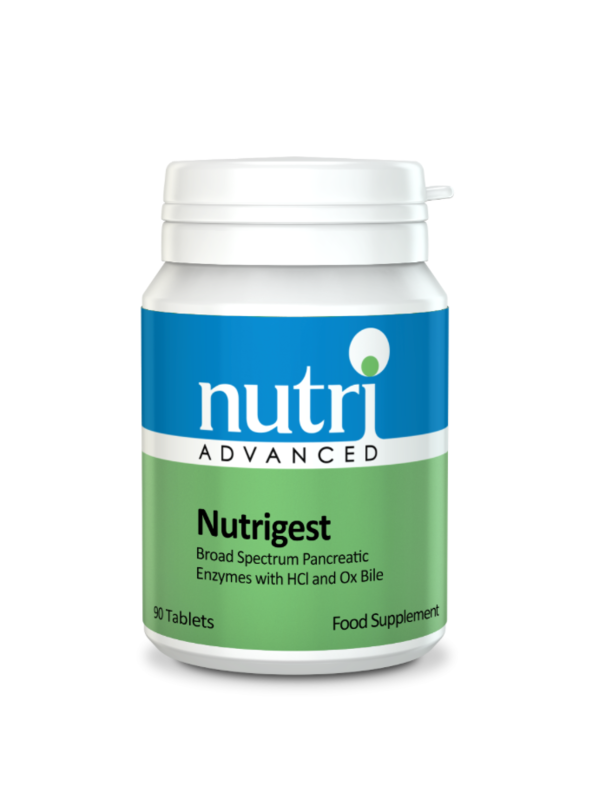 Nutrigest is a potent combination of hydrochloric acid (HCl), digestive enzymes and ox bile. Hydrochloric acid (HCl) denatures dietary proteins and facilitates the digestive action of enzymes. HCl also stimulates the pancreas to secrete more digestive enzymes when released into the duodenum from the stomach. Not recommended for individuals with gastritis or ulcers. Do not chew or break the tablet. Tablet must be swallowed whole. If pregnant, breastfeeding, taking any kind of medication or have a medical condition, consult a healthcare practitioner before using this product.